EARTH TO Bunny World Foundation FOSTER MOMS! We would like to give special Mother’s Day recognition to BWF FOSTER MOMS who are currently taking care of more than 200 orphans. Thank you! We couldn't do it without you! If you’re unable to volunteer/foster but would like to express gratitude for our Foster Moms’ efforts, please visit our Amazon Wish List or help our orphaned babies in any way you can. Timothy Hay, Timothy Oxbow Pellets are always welcome, as well as Bedding, Paper Towels and Trash bags! They would make our Foster moms the happiest moms! Thank you and BUNNY ON! 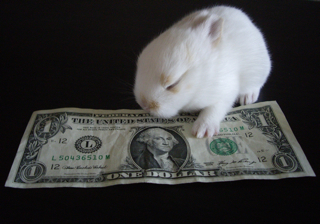 Warmest thanks to our bunny-loving supporters who donated to this campaign. Seven Little Fighters Need You! Please show your love for the SEVEN LITTLE FIGHTERS and help us continue our work! Watch this moving VIDEO and read the details posted on the BWF Official Facebook Page! Thank you so much! Don't miss our Los Angeles ADOPTION EVENT THIS SUNDAY! Don't miss our Bunnies on PETFINDER that need homes! Don't miss the SPECIAL NEEDS BUNNIES that need help!